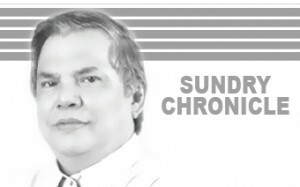 When President Rodrigo Duterte was still campaigning for the presidency, one of his promises was to change our form of government from the present unitary or centralized form of government to that of a federated states or federalism. Now that he is president, he has started the moves to achieve a federated form of government in the Philippines. Federalism is the doctrine, system, or principle of federal union or federal government. Federal is defined as relating to the agreement among two or more states to merge into a union in which control of common affairs is granted to and maintained by a central authority established by consent of the members, with each member retaining jurisdiction over its own internal affairs. In federalism, the states exist first and they unite to form a common or central government.Â In the case of the Philippines the central government exists first and we want to subdivide it to form several states.Â In effect we want devolution. When the Spaniards arrived in the Philippines in the 16th century there already exist groupings that can be considered as states.Â Those states were formed by colonization, conquest, marriage or purchase. The common bond or the uniting forces were common languages and traditions. The most united groupings were those that were held together by the Mohammedan religion.Â These groups existed in the Sulu Archipelago, Southern Mindanao, Central Mindanao, the Bo-ol Kingdom (Note: Destroyed by the Portuguese in 1563), Manila (Tondo), and Pampanga. The Spaniards were able to conquer the Muslims in Manila and Pampanga and all other places except for the areas now known as the ARMM (Autonomous Region of Muslim Mindanao). The Spaniards unified the places they conquered by establishing a central government in Manila.Â They converted the people to Christianity so that the Spaniards could control the mentality of the people. However, the Spaniards were careful not to unduly unite the people so they will be easy to control and govern.Â The Spaniards did not teach the Spanish language so that the people will not be united.Â It was the Spaniards who learned the languages of the different regions. The Spaniards employed the â€œdivide and conquerâ€ method of governing the Philippines.Â When an uprising or revolt will occur in one place or region, they will bring native fighters from other regions to quell the revolt.Â In this way the people of one region will hate the people of other regions and they will have no desire to unite. After 300 years of ruling the Philippines, the Spaniards changed their method of governance.Â In 1868 they established a â€œNormal Schoolâ€ to train teachers that will teach Spanish to the children.Â The Spaniards also wanted to hasten the integration of the people in the Philippines. The graduates of the normal school were sent to other places in the Philippines.Â That was the reason why Don Eduardo Calceta came to Tagbilaran to teach in the school for boys and eventually married in Tagbilaran.Â He was from San Francisco de Malabon (Now: Trias), Cavite. The rich Filipinos sent their children to study in Spain and Europe.Â These were the Filipinos who became nostalgic of the Filipino freedom in pre-Spanish times. Since these Filipinos came from different regions in the Philippines, they conceive the notion or desire for a federation of the different regions in order to make the Philippines independent. Dr. Jose Rizal in his article â€œThe Philippines a Century Henceâ€ was in favor of federalism. The â€œKatipunanâ€ organized by Andres Bonifacio was in favor of federalism.Â In fact the word â€œKatipunanâ€ means federation. The First Philippine Republic organized by Gen. Emilio Aguinaldo, was unitary in paper but federal in practice.Â There were many places in the Philippines that were not under the scope of the Aguinaldo government and President Aguinaldo sent representatives to these places to convince them to side with the Aguinaldo government. The nascent federalism of the Philippines revolution was neap in the bud by the arrival and conquest of the Americans. Even when President Aguinaldo was pursued by the Americans in Luzon, the Filipinos in the Visayas organized the Gobierno de Canton de Visayas with headquarters in Sta. Barbara, Iloilo. When the Americans conquered the Philippines, they had a concept that the Filipinos must be integrated as one people.Â Educated Filipinos who joined the American government were not assigned in his home place.Â Boholanos were assigned as far as Batanes. The Americans introduced a two level legislative body.Â In 1907 the Philippine General Assembly was organized consisting of elected Filipinos from different congressional districts.Â It functioned as the lower house and the Philippine Commission was the upper house. After the passage of the Jones Law in 1916, the Philippines Senate was organized coming from the 12 Senatorial districts in the Philippines. Two (2) senators were elected from each district.Â However, the selection of Senatorial districts was governed by population only.Â Bohol, Misamis (still one province) and Surigao were the 11th Senatorial district. 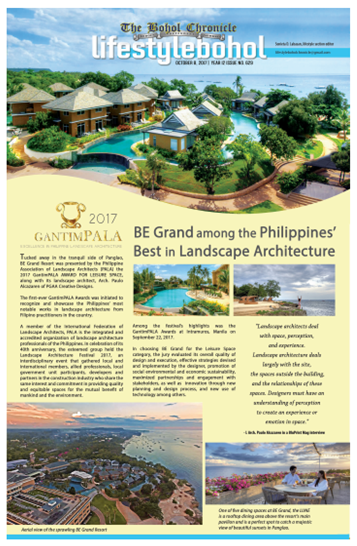 Since Bohol was the most populous province, it always has an elected senator like Senators Jose A. Clarin and Juan Torralba. Due to the emphasis in our history education regarding the Philippines Revolution, there is always a nostalgic desire for the aborted federalization of the Philippines. However the regionalization that was fostered by the Spaniards is now hazy after the unitary government of the Americans and our Republic. The problem now is that our federalism will be devolution or from a unitary to the regional States, how shall we divide the Philippines into States?Â What rule or standard shall we follow?Â Is it language; religion; economy; population; contiguity; or â€œgusto ko lang = I just like itâ€?